Gerard Piqué vs Sergi Roberto: Who will win? 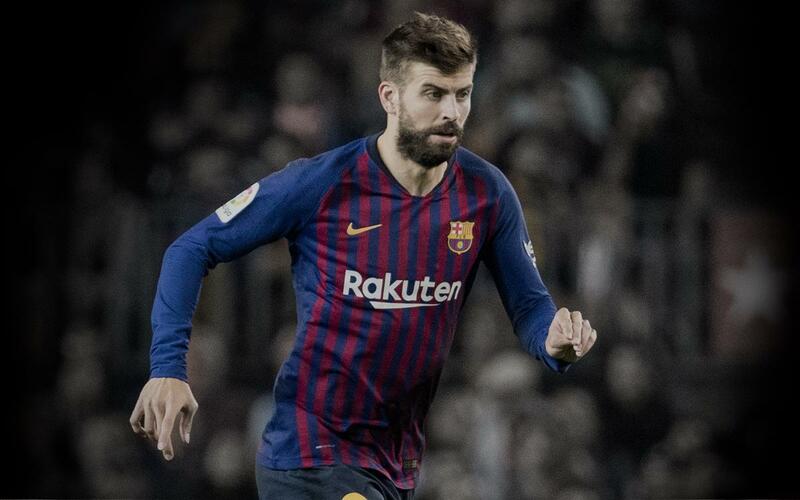 Gerard Piqué returned to FC Barcelona, the club where he started out as a youngster, in the summer of 2008, after three seasons with Manchester United and one on loan with Real Zaragoza. Gerard Piqué was born on 2 February 1987 and since that day he has been a club member of FC Barcelona. Since he was very young he has been involved with the club and when he was 10 years old he joined the youngest boys' team at the club at that time (Under-12 B). From then on he passed through the various youth levels, picking up titles along the way and winning plaudits in all age categories (Alevín A, Infantil B and A, Cadete B and A and Juvenil B and A). When playing at Cadet B level Tito Vilanova was his manager, who he would coincide with again when he eventually made it into the first team. In all this time of development and learning, Gerard Piqué showed a great ability to adapt to different positions on the field and gained a reputation for goal scoring, despite his defensive position. At the end of the 2003/04 season, Gerard Piqué took a break from his life at FC Barcelona and left for Manchester United. He was loaned out to Real Zaragoza for the 2006/07 season. The 2007/08 season saw Piqué return to Manchester United, where he was able to celebrate the Premiership and Champions League double. In his first season with Barça, Piqué soon showed why he had been signed. He became a first choice centre back and also scored three goals, one in each competition, totalling 45 appearances. In his second year he consolidated his reputation as one of the best central defenders in the world, forming a regular partnership with Puyol and winning his second league title with the Club. In the third year, Piqué became an even more important part of the centre of the defence and faced his former side Manchester United in the final of the Champions League, which FC Barcelona won. He made his 100th appearance for Barça on September 22, 2010 against Sporting Gijón. In the 2012/13 season, he surpassed 200 games for Barça as the team marched to the title with 100 points. In 2013/14, Piqué was involved in 39 official matches and scored four goals. Piqué also had the honour of scoring Barcelona’s 1000th international goal against Celtic in the Champions League group stage. In 2014/15, he played 43 games for the team as they marched to a second historic treble. Over the next three seasons, Piqué scored 12 goals and made 136 appearances. 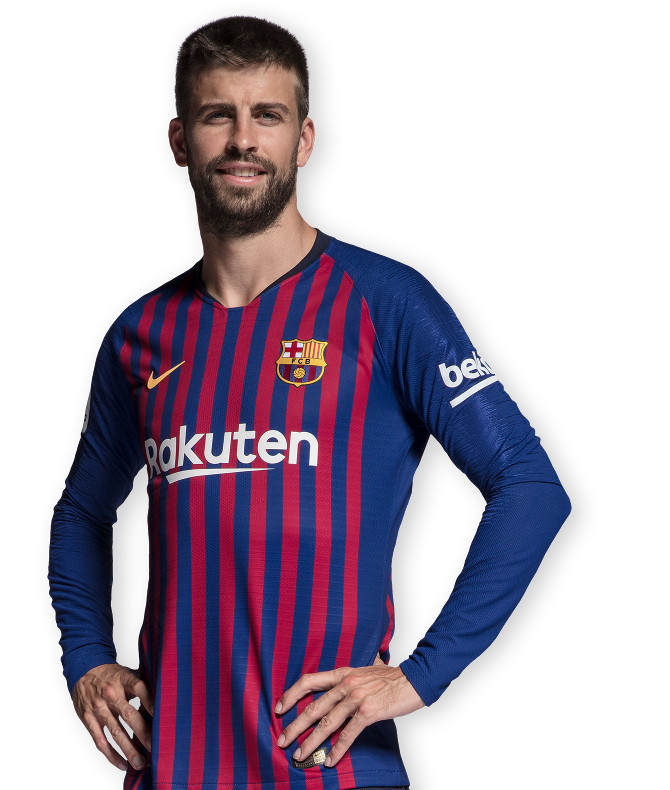 As for his international experience, Piqué played in the 2007 U-20 World Cup in Canada, the 2006 U19 European Championships in Poland (which Spain won) and the 2004 U17 European Championships in France (which Spain finished as runners-up). In 2009, he made his international debut in the Confederations Cup in South Africa. He has since become a permanent feature of Spain's defence, playing every minute of the country’s first ever World Cup win in 2010, and also playing a key role in the conquest of the 2012 European Championship. Piqué also played in the 2013 Confederations Cup and 2014 World Cup in Brazil, the Euro 2016, and the 2018 World Cup in Russia. Gerard Piqué made his official debut for the Club on 13 August 2008 in the Champions League against Wisła Kraków. 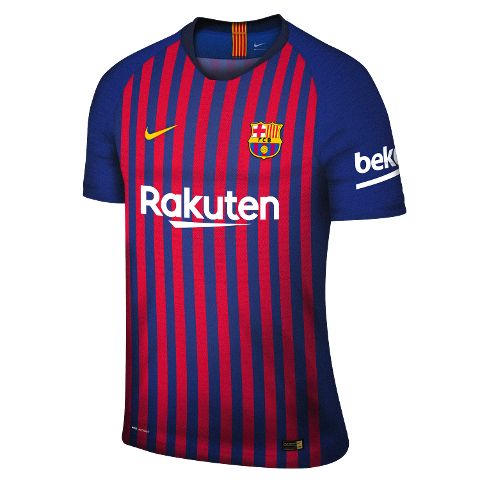 The match ended in a comfortable win for the blaugranes (4-0).